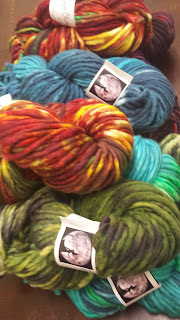 New really BIG yarn in really BIG colors has arrived in really BIG skeins! 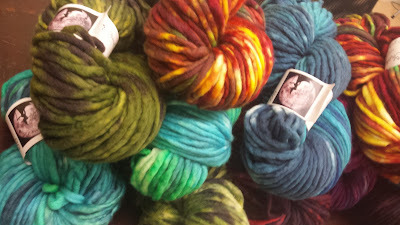 Welcome our newest big yarn, Super Bulky Superwash Merino from Bewitching Fibers. BIG skeins - Oversized 200 gram skeins rock your needles with 142 yards (131 m) in generous 7 ounces skeins. BIG colors - Color, color, color - you will be bewitched with all the colors... super saturated and breathtaking... these skeins are unique and a delight!